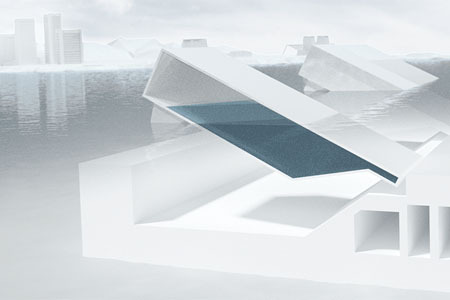 Protecting coastal cities through accurate flood prevention solutions. Over 600 million people worldwide live in coastal areas that are at risk of flooding. For centuries Venice has faced the risk of the acqua alta, the high water floods that threaten to submerge the city. To protect their city, Venice uses the MoSE flood barrier system. This features 78 independently operated hollow steel barriers that are lifted whenever high waters approach the lagoon. The ABB Ability™ solution for flood prevention includes an integrated electrical and automation solution to control the raising and lowering of the barriers according to pre-set parameters. The solution senses and elaborates data from more than 50,000 devices and provides operators in the control room with current and accurate information to start the barrier operations when the right conditions occur. The integrated automation and electrical solution coordinates the entire flood protection system of navigation locks, breakwaters and flood barriers. This enables Venice to analyze the weather conditions and other parameters, determine the best position of the barriers at any time (with a precision of 1 degree) and ultimately protect the lagoon from tides up to 3 meters above normal.